Welcome to Whimsy Wednesday Link Party 104! This week we have some awesome news – we added a new Co-host to our team! Meet Jennifer and her blog Princess Pinky Girl. 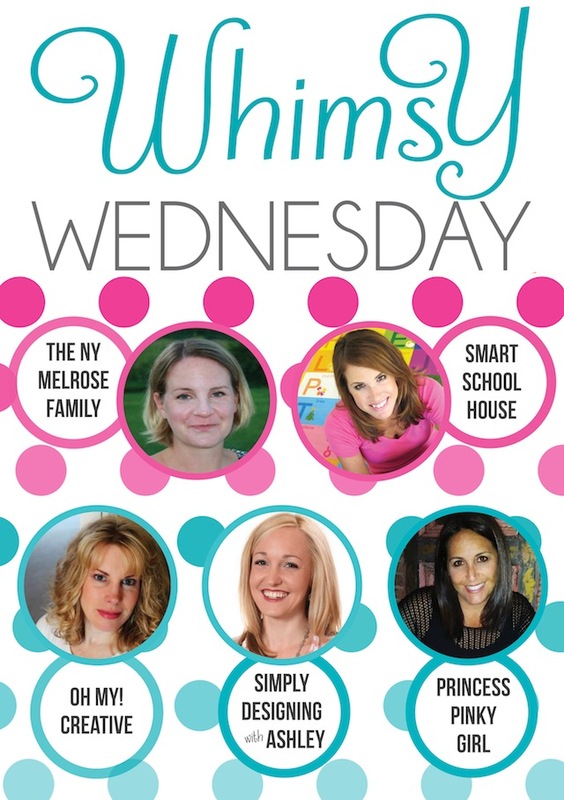 We are excited to have her join us as part of the Whimsy Wednesday Party! We also have this pretty new graphic to go along with the party. Just click on our photos to visit each of our blogs! You can see last weeks Whimsy Wednesday Features in my post 10 Handmade Home Projects! If you have been featured feel free to grab a button! This week Chandra from Plaid and Paisley Kitchen shared her recipe for Corned Beef Hash! Perfect for St. Patrick’s Day or throughout the year! And Mindi from My Love 2 Create shared her DIY Monogram Family Quote she created from an upcylcled old frame! One of my favorite links from last week is this Salted Caramel Cheesecake Cups from The Grant Life! Can you say YUM! Susan, thank you again for hosting this week. I noticed right away that there was a new pretty face among the hostesses. Can’t wait to see how many new blogs I find here this week. Thanks for stopping by to link up tonight! Yes, we added a new co-host this week…more fun and so many great projects! Thank you for the party today, Susan. I’m headed back in to check out some of the links!